Michele took over the Yoga Spot in April 2011 and has been running the business as well as teaching yoga full time since then. 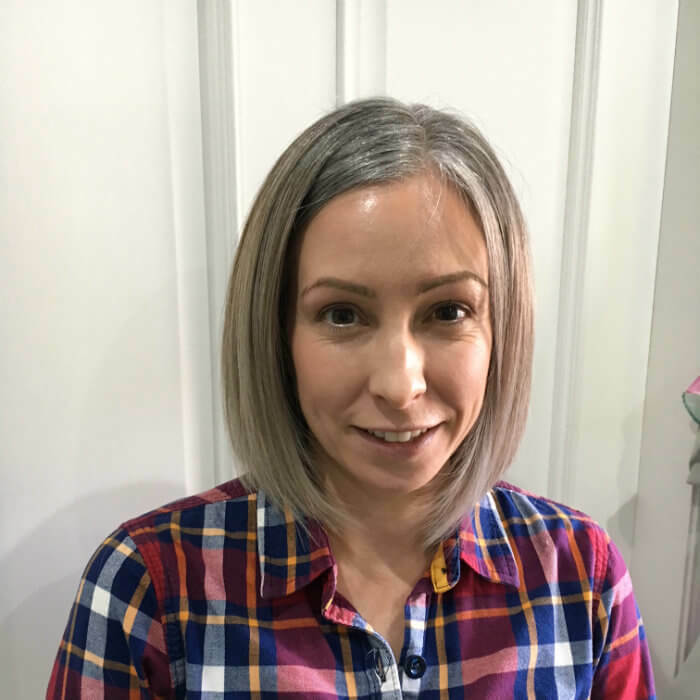 Prior to becoming a full time yoga teacher, Michele worked in the corporate world of the oil & gas industry in Aberdeen, latterly as an Events Manager for a not-for-profit small subsea and underwater related company. General fitness and running had been a part of Michele’s life since she was a teenager. Only through back injury, and lots of encouragement from others, did she start to attend yoga classes. Miraculously, yoga helped where various types of therapies hadn’t! Although coming to yoga from a fitness point of view, Michele soon realised that there was so much more to yoga than the physical. Intrigued and enthused to learn as much as possible, all other forms of exercise as well as her beloved running started to fall by the wayside. Attending more yoga classes and even starting a home yoga practice, she soon signed up for a Yoga Teacher Training. Of course, at this point this was only to learn more about yoga - little did she know she’d soon be the owner of a yoga studio! Through David, she met and has studied with John Scott several times and hopes to do so more in the future. Also through David, Michele met and studies with Gretchen Suarez. As well as a yoga teacher, Gretchen is also a licensed psychotherapist. In March 2014 Michele travelled for the first time to Mysore in India for one month to study with Sharath Jois at KPJAYI, the home of Ashtanga Vinyasa yoga. 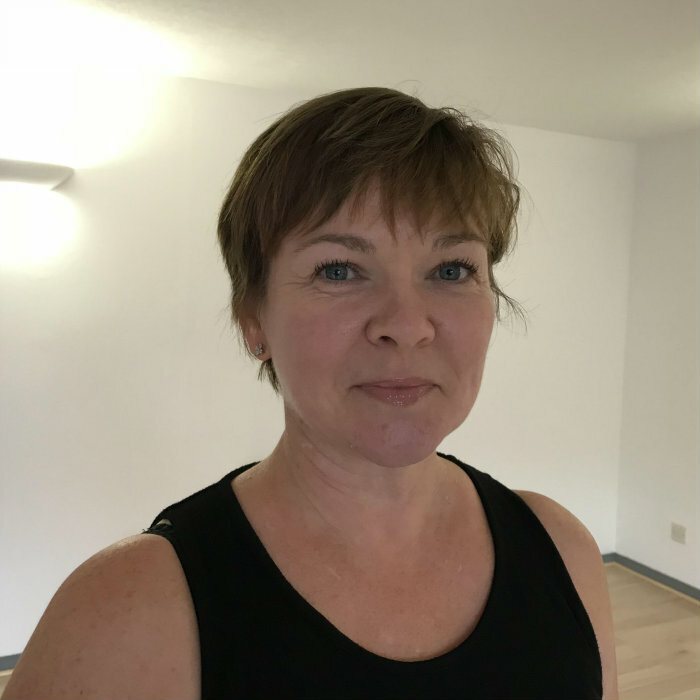 As well as studying with these highly esteemed teachers, Michele also attends regular workshops throughout the year to work on her own physical as well as spiritual practice to then share with her students. As you'll see from our Class Timetable Michele teaches several classes at the Yoga Spot throughout the week. She also teaches regular one-to-one private classes as well as private group classes. If you’re interested in finding out more about private classes please contact her at info@theyogaspot.co.uk or on 07745 929660. For as long as I can remember I've had an awareness of yoga in my life, as my mum practised when I was a wee toddler. That influence unfortunately did not rub off on me until much later in life, when I decided to attend Power Yoga classes both at the gym and the Yoga Spot. I instantly fell in love with all things yogic, but especially the Ashtanga Vinyasa system. Before I knew it I was attending a teacher training course, leaving a corporate career to teach yoga full time, and then running the Yoga Spot! I went to my first yoga class nearly 15 years ago and it felt like coming home. I’ve been fortunate over the years since to have studied in classes and workshops with fellow students and inspiring teachers of different styles of yoga. 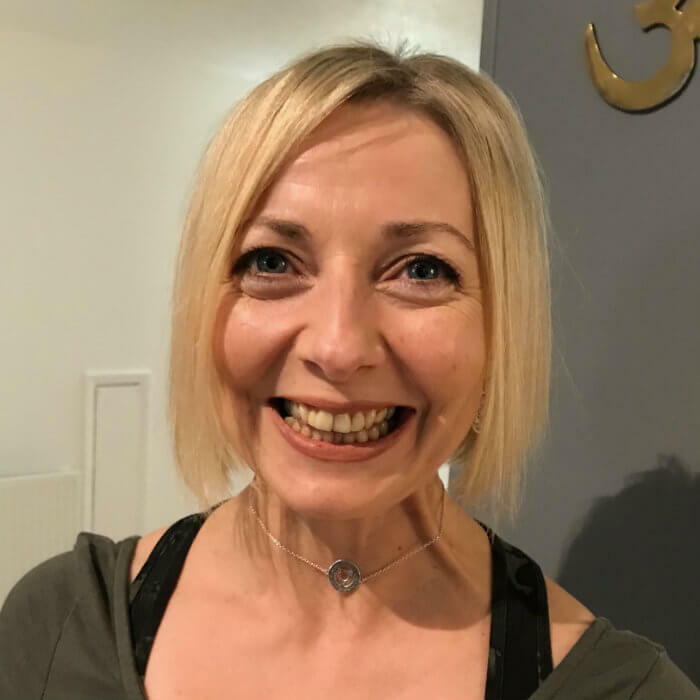 I qualified as a teacher, having trained in the Sivananda tradition, in 2015 and then undertook further training to qualify as a pregnancy, post-natal and fertility yoga teacher. I feel so honoured to be able to encourage others on their yoga journey whilst continuing my own study. I was introduced to yoga 7 years ago when I attended my first class with Michele where I surprised myself with my first backbend. That was me, I was hooked. I became a Yoga Spot regular, attending classes and developing a home practice. Encouraged by my teacher, family and friends I enrolled on a 200hr Hatha Raja Teacher Training course at YogaJo’s in 2016. Here I learned how much a full yoga practice can benefit and enhance all aspects of your life. I am grateful to my teachers for what I have learned so far and I am keen to pass this knowledge on to others. Yoga is for everyone. Let a little yoga into your life. I discovered yoga in 2009 whilst living in the Middle East, and developed a deep passion for the practice. It was whilst living in Abu Dhabi and after practising with some great teachers that I decided to leave my job and pursue a yoga teacher training. My first training was in Thailand which cemented my love for the Ashtanga practice and yoga philosophy. 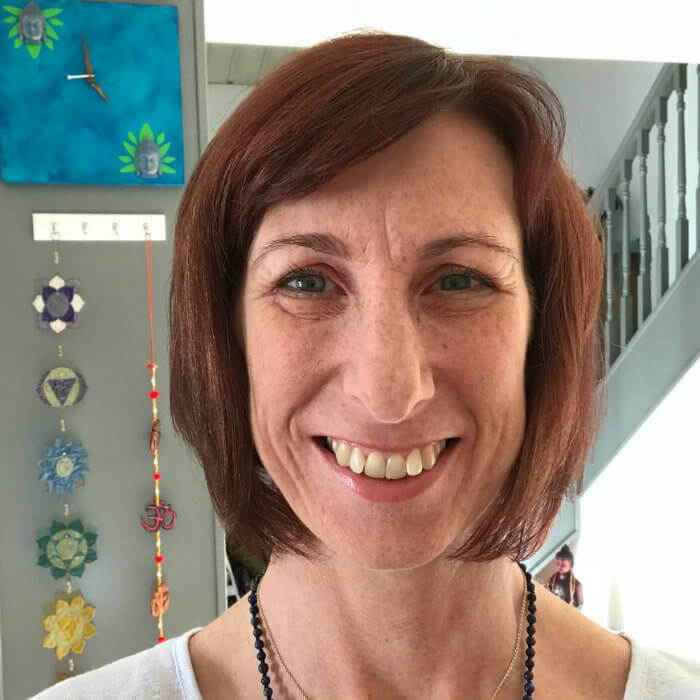 After leaving the Middle East I pursued further studies in Australia whilst deepening my own personal practice – during this time I was lucky to have the opportunity to work closely with my teacher for three years in the Mysore room gaining valuable experience. I have been grateful to return back to Scotland and share with others all the things I have learnt. I believe the human body was created to move. Since I was a small child, sports took a special place in my life. After completing a PT (personal training) course, I still felt that something was missing, I felt that I had gaps in my knowledge. I then discovered yoga! I have just spent the last 3 years studying a BA/BSc for Vaishnava yoga master qualification at the Bhaktivedanta College in Budapest. During my studies, in addition to the physical benefits, I learnt both the spiritual and mental aspects of yoga. Recently I have been diagnosed with a spinal disease, because of that I started to increase my studies regarding functional anatomy, its benefits and usage. I can share that knowledge, experience and understanding through teaching my yoga classes. The history of yoga arguably dates back thousands of years and is steeped in philosophy, spirituality and religion. Yoga is different for everyone. Whether you attend a yoga class for physical, spiritual or mindfulness benefits, at the Yoga Spot we aim to help you along that path. We are dedicated to and passionate about yoga. It is a philosophy and way of life for us at the Yoga Spot and we aim to pass this on to all those who attend our classes.